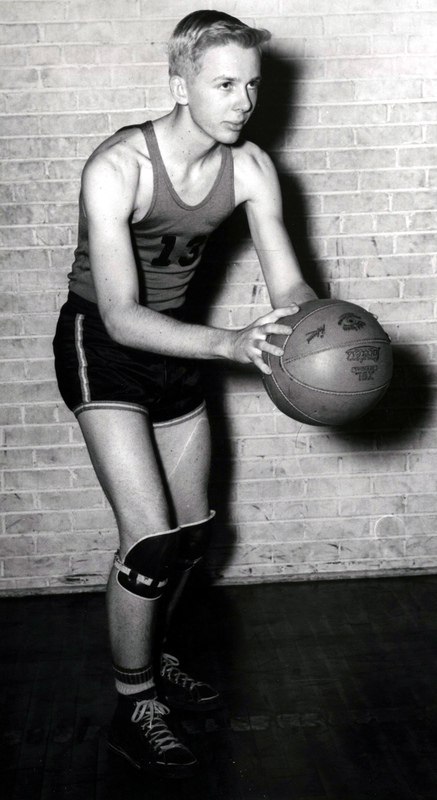 As a Texas high school senior in 1947, T. Boone Pickens was an overachieving guard on an unheralded team that pushed a Kyle Rote-led San Antonio team to the limit before falling in the state semi-final championships. Pickens recalls that he loved being the underdog (a role he would become familiar with during his greatest business challenges), the roar of the crowd, and the cohesion of a fit, well-run team. Pickens soon left aspirations of being a basketball star behind — not so his admiration of a fit, well-run team. He blended his lifelong passion for fitness into every step of his professional life, setting standards for corporate fitness well before such notions became national trends. 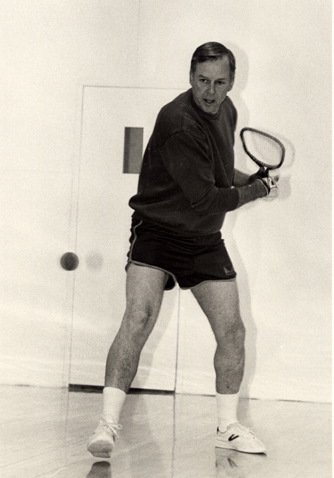 In his early 40s, a friend introduced Pickens to racquetball, and in his usual manner with such pursuits, he soon dove into the game full-throttle at a local YMCA. As his stamina improved, he noticed that his powers of concentration sharpened as well. He was becoming more productive each day and still had energy to burn. Of course, he soon devised ways of transferring that newfound vigor and sharpness to his workforce. In 1979, Pickens built a $2.5 million, 30,000-square-foot fitness center at Mesa Petroleum in Amarillo and instituted a corporate wellness program available to all employees (it was later expanded to spouses). Pickens not only espoused that physical fitness created a better, more economically sound workforce and workplace. He walked the talk. Wearing the standard program participant’s blue sweats and gray T-shirt, he became a daily fixture on the racquetball court, where he regularly trounced his younger partners, and on the stationary bike. A company newsletter shared health and fitness tips. Mesa’s wide-ranging wellness program included medical profiles, screening classes, educational classes, and ongoing classes on stress management, weight control, lower back care, and self-defense. Mesa’s fitness program became a model for corporate America. 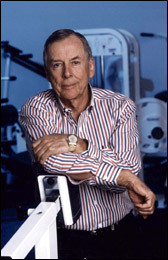 It was the first company to be accredited by the Institute for Aerobics Research, founded by the internationally renowned fitness pioneer Dr. Kenneth Cooper in Dallas. In the process, Mesa earned the title the “Most Physically Fit Company in America” in 1985. Further, it significantly reduced the company’s health care costs and reduced employee absentee rates. During a period when escalating health care costs threatened America’s business competitiveness, Mesa began showing health care savings of about $1.6 million a year. The company’s health care cost per employee dropped almost 60 percent lower than the national average (68 percent below the energy sector average). The average of number of sick days for those enrolled in the program dipped precipitously. Mesa added cash incentives to employees if their families participated in the program. A ten-year study on annual medical claims from 1980 through 1989 found that the average annual medical costs of wellness program participants were one-half that of the company’s non-exercisers. In 1982, Augusta National Golf Club invited Pickens to join the exclusive club. Pickens had many memorable moments during the 100 times he figured he played there, but none rivaled April 18, 2007, when he hit a driver up the left fairway on #11 and followed up with a 7-wood onto the green. Upon closer scrutiny, his longtime caddie, Larry, informed him he had eagled the first leg of Amen Corner. At 78. To add to the magic of the day, Pickens’ friend, golf legend Arnold Palmer, had played Augusta earlier that day. After Pickens completed the course, he ran into Palmer and asked him if he had ever eagled #11. He had not. When Palmer told his friend that he had hit “two good shots,” Pickens replied, “No, Arnold. I hit one good shot and one perfect shot.” Pickens, figuring he probably wasn’t going to top that day’s performance, gave up the game shortly after that. Pickens’ generosity has helped the downtown Dallas business sector maintain a healthy lifestyle as well. A $5 million gift, the largest the Dallas Metropolitan YMCA has ever received, was crucial to a $29.5 million campaign that funded a large-scale renovation of the 124-year-old organization’s downtown location, which reopened in 2009 as the T. Boone Pickens YMCA. The center provides a modern place for downtown business employees to work out, as well as a health organizational center for the individuals and families who are part of the expanded residential population moving into condos and apartments in the revitalized downtown residential community. Today, he works out in some fashion daily, employs a personal trainer several times a week, and shares his trainer with his employees in the office fitness room.